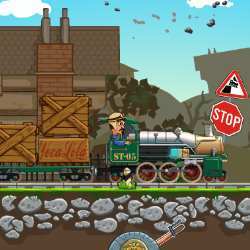 You are a steam train driver with a hidden talent of bridge designing, and you need to design and build bridges along the way to get your train and its load of cargo across the cliffs and to the final destination. There could also be annoying animals standing in your way, just beep your horn or kick them away to clear the way. 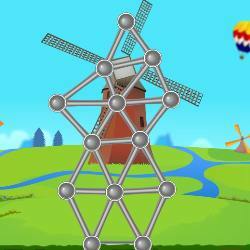 There are 10 levels to complete in this steampunk style bridge physics game. Use the LEFT and RIGHT ARROW keys to control the speed of the steam train. 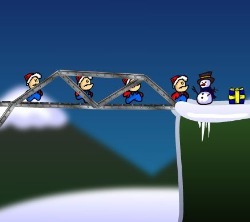 Press the SPACE BAR to enter bridge design mode, or to kick away animals standing in your way. 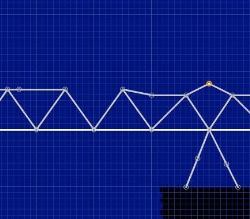 Use the MOUSE and LEFT MOUSE BUTTON to design the bridge. Press B to beep your horn, and R to restart the current level. Click here to send Viaduct Designer to your friends using your default email program.